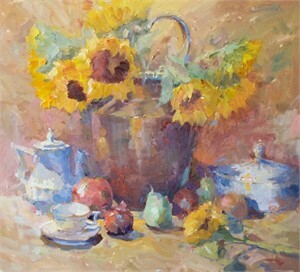 Brent Jensen is a fine art Impressionist oil painter. His passion for art began at an early age. He followed his dream by earning a B.A. in Art from the University of Utah. He owned a successful architectural illustration company for 12 years. 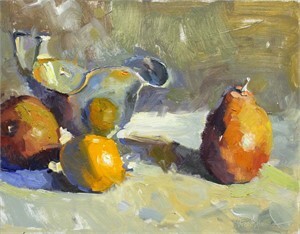 During that time, he rekindled his love for studio and plein air oil painting. 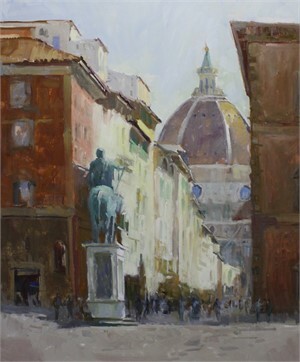 Since 2007, Brent has devoted his full-time energy to oil painting. He travels internationally for inspiration. Many of his compositions result from numerous paint trips throughout America. 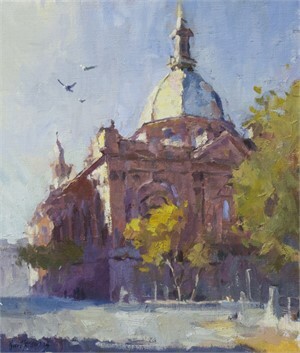 Living in Northern California also affords Brent many opportunities to paint cityscapes, landscapes and seascape scenes. 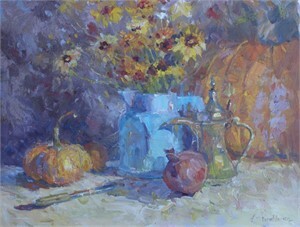 Fresh flowers, fruit and various vessels collected over the years create his inspiration for his still life oil paintings. Brent is a featured artist in the book, Oil Painting with the Masters and has published articles in International Artist, SouthwestArt, Art of the West and American Art Collector magazines. 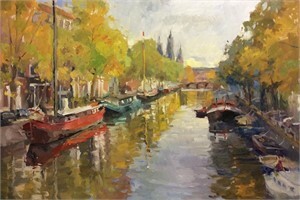 He is frequently included in National competitions with art clubs such as the American Impressionist Society (signature member); the American Society of Marine Artists (signature member); and Oil Painters of America. Brent has participated in numerous solo and group shows at his various galleries and his paintings have been displayed in several museums throughout America. 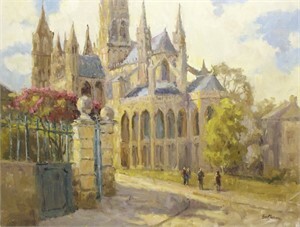 He leads paint demonstrations at art clubs and through workshops. 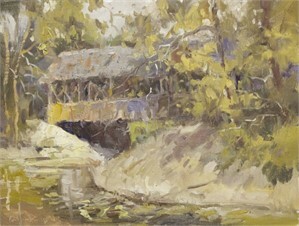 As a traditional Impressionist style oil painter, his painting technique uses a loose approach, limited palette, and objective perspective. This allows any two viewers to interpret one of his paintings differently. He believes a properly selected composition that is well-executed brings a lifetime of enjoyment to a collector. Brent Jensen is a fine art Impressionist oil painter. His passion for art began at an early age. He followed his dream by earning a B.A. in Art from the University of Utah. He owned a successful architectural illustration company for 12 years. 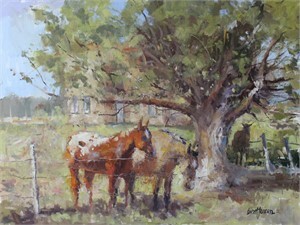 During that time, he rekindled his love for studio and plein air oil painting. Since 2007, Brent has devoted his full-time energy to oil painting. He travels internationally for inspiration. Many of his compositions result from numerous paint trips throughout America. 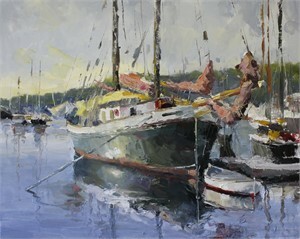 Living in Northern California also affords Brent many opportunities to paint cityscapes, landscapes and seascape scenes. 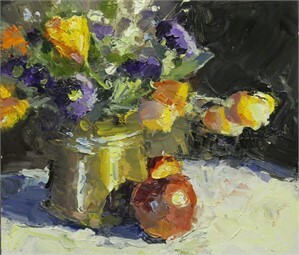 Fresh flowers, fruit and various vessels collected over the years create his inspiration for his still life oil paintings. Brent is a featured artist in the book, Oil Painting with the Masters and has published articles in International Artist, SouthwestArt, Art of the West and American Art Collector magazines. 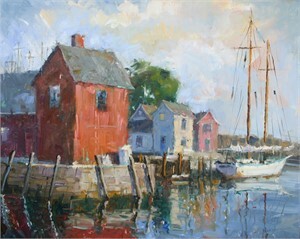 He is frequently included in National competitions with art clubs such as the American Impressionist Society (signature member); the American Society of Marine Artists (signature member); and Oil Painters of America. Brent has participated in numerous solo and group shows at his various galleries and his paintings have been displayed in several museums throughout America. 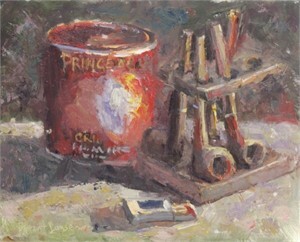 He leads paint demonstrations at art clubs and through workshops. 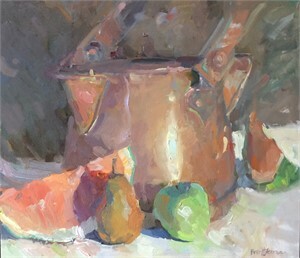 As a traditional Impressionist style oil painter, his painting technique uses a loose approach, limited palette, and objective perspective. 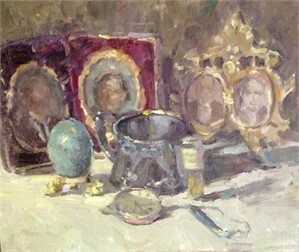 This allows any two viewers to interpret one of his paintings differently. He believes a properly selected composition that is well-executed brings a lifetime of enjoyment to a collector.